1965-68 Mustang Steering Box to Frame Mounting Kit. 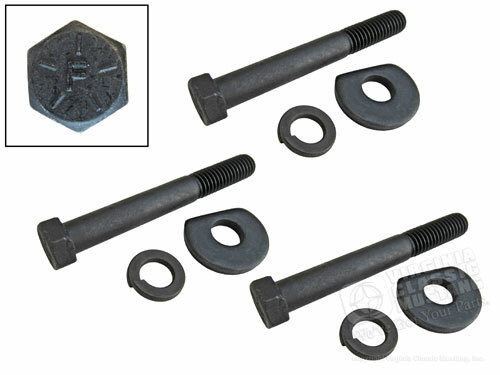 Includes Three 7/16-14 x 3 3/8" Bolts with special washers and lock washers. Bolts are graded bolts with proper "F" head markings.